Awesome Friday! » Blog Archive Huh: David Leitch in talks to direct remake of 'Enter the Dragon' because nothing is sacred - Awesome Friday! 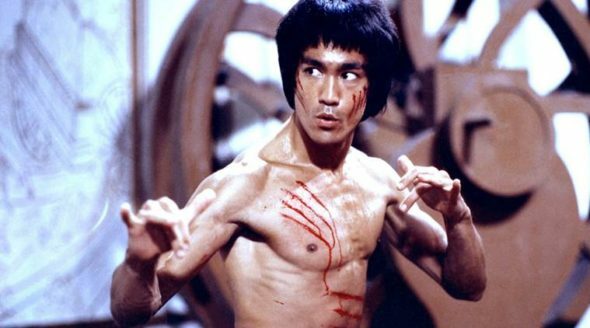 Deadline has the story that the latest attempt to remake Enter The Dragon is lining up David Leitch, helmer of Atomic Blonde and Deadpool 2 and co-director of John Wick. On the one hand, this is a natural choice. Leitch is a good director, and importantly in this case he’s a good action director. Jut re watch he staircase fight in Atomic Blonde if you don’t believe me. I’d maybe actually kind of prefer if his John Wick directing partner Chad Stahelski was with him, that guy has a slightly… weirder sensibility that I dig, but still. Solid choice. On the other hand maybe don’t remake this? I know it’s not even the first time that they’ve tried and I’m not one who thinks that remakes diminish the originals, I am maybe arguing that maybe we should hold some works as sacred. Enter The Dragon is a classic, notable for being kind of a perfect storm of Bruce Lee’s fame, the popularity of kung fu films and blaxploitation, but mostly also for being the last film Lee made before he died. It is noteworthy and maybe some films we just leave as they are. I mean, I am sure that is not going to happen and like I said, I don’t think remakes diminish the originals so if it were up to me I’d find someone new to build the story around, maybe a woman even, and then fill out the supporting cast with basically anyone who is a notable movie martial artist. This is still in development so when there’s new news we’ll let you know.